Aurora CEO Chris Urmson says that there is this amazing opportunity to go and take the next step in democratizing transportation. Aurora, an independent autonomous vehicle technology startup, has secured over $530 million in funding led by Sequoia, Amazon, and T. Rowe Price. The inclusion of Amazon in this round raises the prospect that Aurora will help power Amazon’s well-known ambitions to provide autonomous delivery. It’s amazing to have a great partner in Amazon. This is a company that is a technology giant and they’re a massive logistics company. We’re just excited to have them as a partner and we’ll see if we can make them a customer at some point. I can’t really speak to Amazon but let me tell you how we think about it. At Aurora we’re building a driver and that driver can move people and ultimately it will move goods as well. 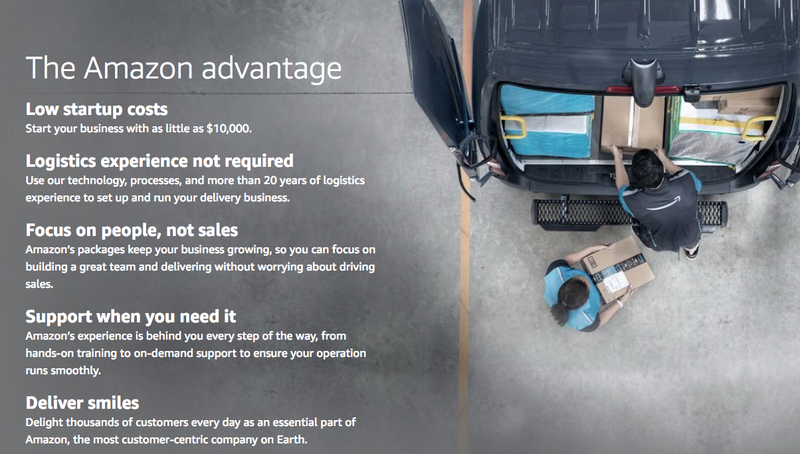 We look at Amazon and see this incredible logistics company and we look at an opportunity to help them with that over time. We’re really excited about the investment in Aurora. That’s an incredible vote of confidence for us as a young company. The folks we have around the table with Sequoia and Amazon and T. Rowe Price is great. We’re going to spend it on hiring great people and bringing it in. This is a big problem and we need lots of people and that’ll be a big part of it. We’re building a driver and the idea is you should be able to get in your car and sit back read a book or have a nap and get from A to B. We’ve been at it for about two years now and we’ve got this great group of people who’ve joined us, so we’re about 200 people now. It’s just exciting to see the progress we’re making on the software. We’re still developing it so we don’t have a product yet that we ship to customers, but our test team is out on the roads. We’ve got vehicles on the roads in California and Pennsylvania as well. I think our approach is probably similar to the way that Google is approaching it. They’re building a driver and they’re integrating that. They’re buying vehicles from people and then doing what they’re going to do with it. Our model was to do the thing that we can be the best in the world at, and we think that is building that driving capability. Then we go and work with companies like Volkswagen and Hyundai and ultimately with other companies in the transportation sector. What we’re really excited about though is that we’re actually an independent player. So people that are working with us have confidence that we’re going to be supporting them and their interests. What we’re seeing is this technology that has an incredible opportunity to save lives and make the roads more efficient and make it less expensive and more accessible to get around. Like anything that’s going to be transformational, it takes a while. It’s a new technology and it’s bridging between two industries, between the technology industry and the automotive industry. Anytime you have that level of complexity it takes a while to figure it out. We look at it and we see this incredible green field. There’s this amazing opportunity to go and take the next step in democratizing transportation. We’re going to be there with our partners and we think there’s lots of room for others to play too. I think the heart of the technology is really anticipating how others are going to drive on the road. Our vehicles today do a good job of seeing other people, whether it’s a pedestrian or cyclist or another car, and then it’s anticipating what they are about to do next. Are they about to step in the road? Is that vehicle about to make a lane change in front of us? If you can do that well then you become what we talk about as a defensive driver and you avoid these kinds of catch-22 situations. There are subtle cues. As a car’s driving along, even if it doesn’t turn on the turn signal, if it starts to drift in the lane it might be about to make a lane change. If you’re approaching an intersection it might be that some car wants to make a move over. Part of the magic of this technology is getting to the point where we’re picking up those subtle cues in the software and then reacting to them safely. Car makers are recognizing that this is an important technology. They see this as part of their future. For many of them, they’re going to move from being car makers to companies that provide mobility. The key ingredient to that is having a driver in their system and that’s what Aurora brings to them.